All aboard! 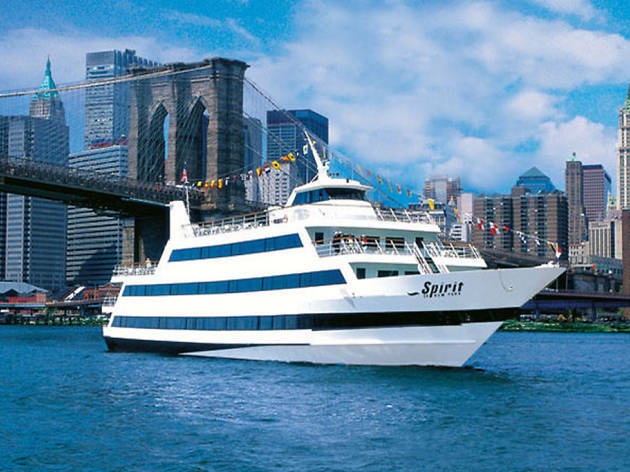 These elegant dinner cruises in NYC turn yachts and steamboats into floating restaurants. For so many of us, New York is at her best in the summer. 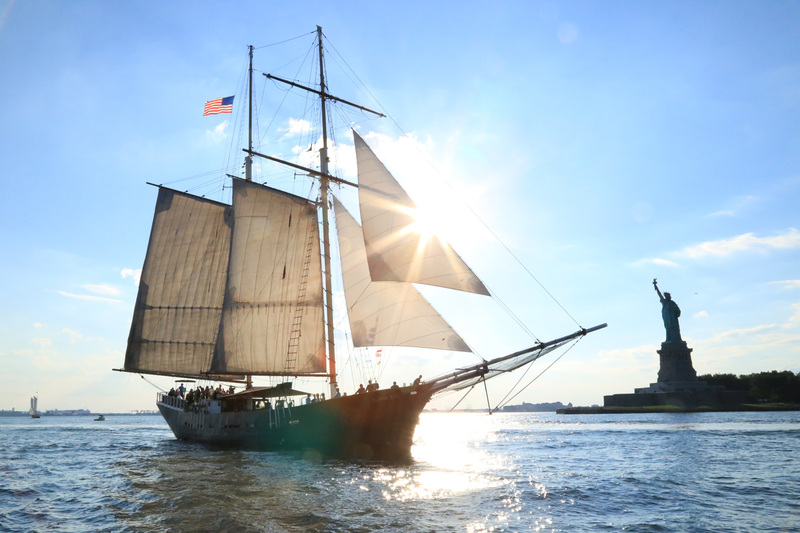 The sunny season calls for evenings spent on rooftop bars, beaches and dinner cruises in NYC. Gothamites work hard and know how to make the most of their leisure time during the warm months. And why would you stay on dry land when you can bask in the cool breeze off the Hudson River? Even the best restaurants in NYC can’t compare to the experience of eating out on the water. These dinner cruises offer prix-fixe menus or buffet meals on enormous three-level ships, sailing taverns and ritzy yachts. Whichever you choose, the ambiance can’t be beat. Bon voyage! 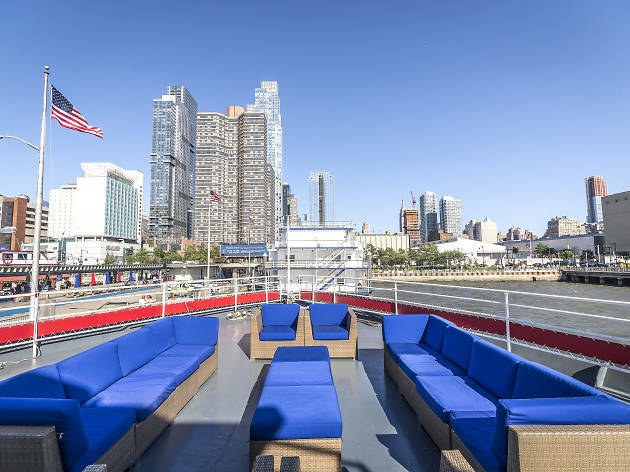 Departing from Chelsea Piers, Bateaux offers frazzled New Yorkers a relaxing three-hour, three-course getaway cruise along the Hudson. 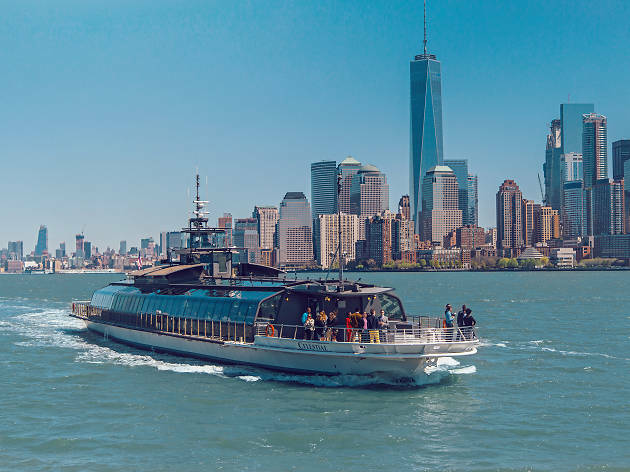 Pair a romantic view of the Manhattan skyline from a glass-enclosed deck with a veritable feast: Entrées include dishes like miso-glazed cod with oyster mushrooms and sugar snap peas and jumbo lump crab cakes with corn succotash. Sip on cocktails, wine and beer from a fully loaded cash bar while live jazz musicians provide the soundtrack for a twinkly evening aboard this dinner cruise. 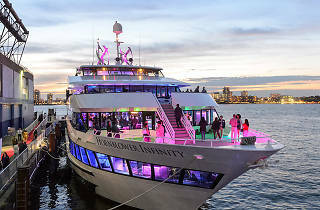 Patrons flock to Hornblower’s climate-controlled sun deck for the decadent three-course à la carte meal and artisan cocktails. With entrée options like filet mignon with truffled potatoes au gratin and pan-seared salmon with roasted vegetable couscous and saffron tomato fumé, we can’t blame them. 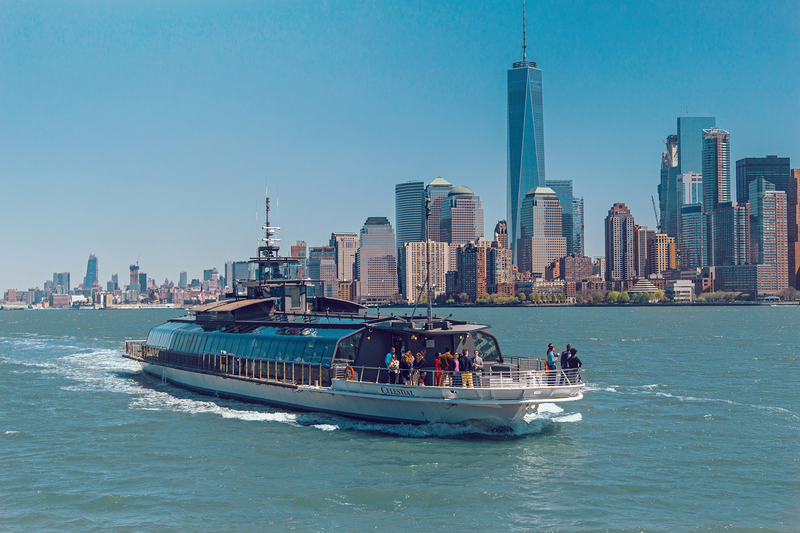 It’s hard to not want to get up and dance as you cruise past iconic New York City landmarks like the Statue of Liberty, Ellis Island and the Brooklyn Bridge to the tunes of a live DJ. How do you ante up on your dinner cruise game? Add bubbles. This 160-foot delivers just. Take in awe-inspiring views of New York from their impressive outdoor deck. 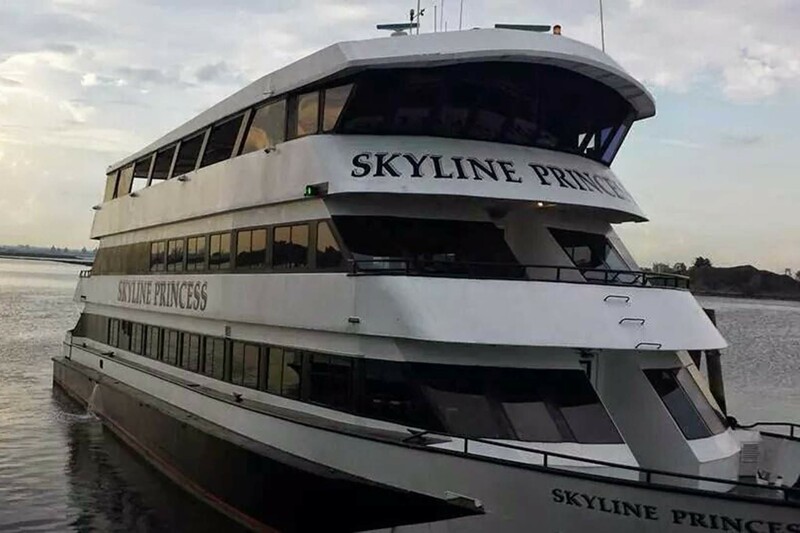 And while you can grab a drink on the rooftop lounge whenever the ship is at port, you should opt for the nightly dinner cruise if you want the full 360-degree look at the Manhattan skyline. Sip champagne while you snack on hors d’oeuvres, then dine on a four-course meal of Mediterranean-inspired dishes like black truffle burrata, wild mushroom pappardelle and branzino with fingerling potatoes and haricots vert. 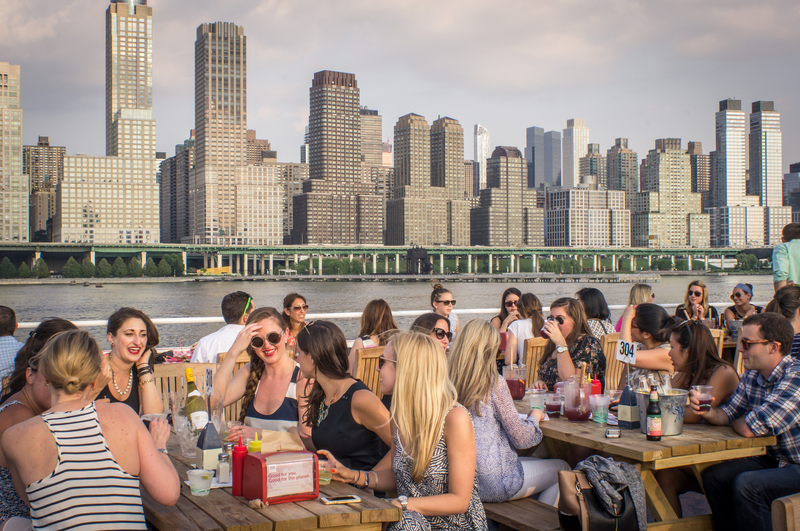 For something a tad more beachy, try this floating three-floor lobster shack at Pier 81. This ship spans 9,000 square feet between the outdoor top deck and bi-level interior dining space and lounge. 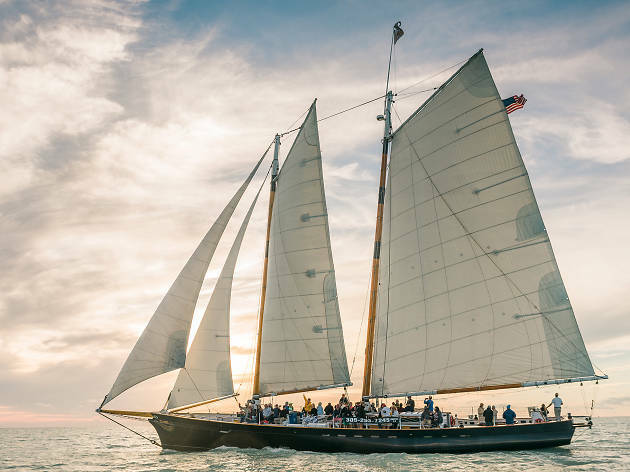 Set sail every 90 minutes on the Destiny and enjoy a menu featuring a raw bar and fresh New England seafood like Maine lobster, fish tacos and clam chowder. Pair your meal with red and white wine selections, bottled beers and summery signature cocktails served by the glass or pitcher. 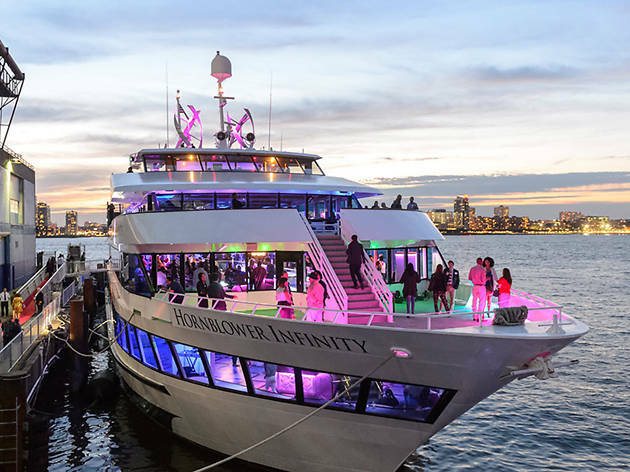 You might take sailboats and sushi for granted when it comes to matches made in heaven, but this New York dinner cruise will change all that. Catered by Iron Chef Masaharu Morimoto, this excursion features a menu of nine pieces of sushi and one roll paired with four flights of cold sake. The sushi is always fresh, prepared just minutes before leaving the harbor and stored in special coolers designed to preserve quality. 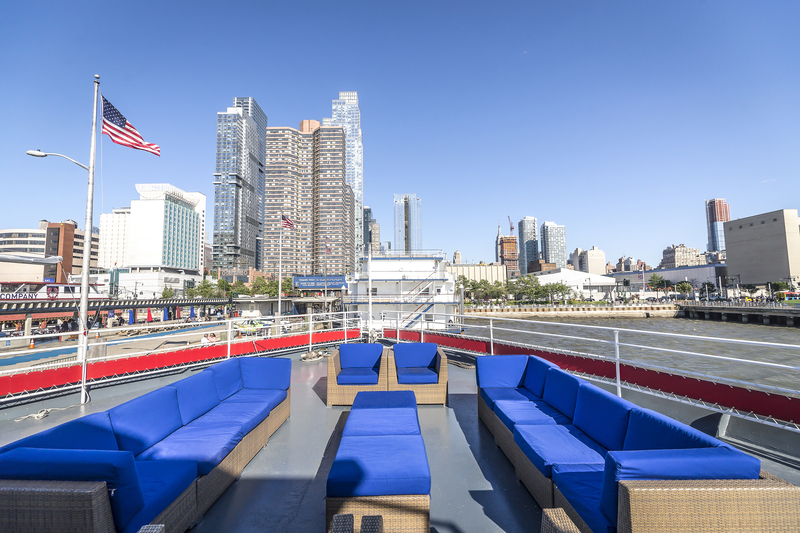 If laid-back is the vibe you’re going for, climb aboard a Spirit of New York cruise at Pier 61. Instead of a formal meal, you’ll serve yourself dishes like orzo salad with bay shrimp, braised beef short ribs and honey-sesame chicken from the buffet. Get down to the live DJ, grab a drink from the cash bar and start a game of oversized Jenga or tabletop shuffleboard. 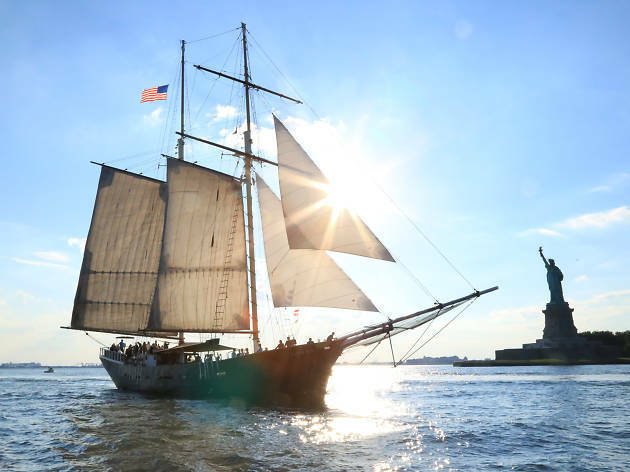 Spend four hours sailing the NYC harbor, gazing out over landmarks like the Statue of Liberty, Brooklyn Bridge and the Empire State Building. In the height of comfort, no less, as the decks are climate controlled. 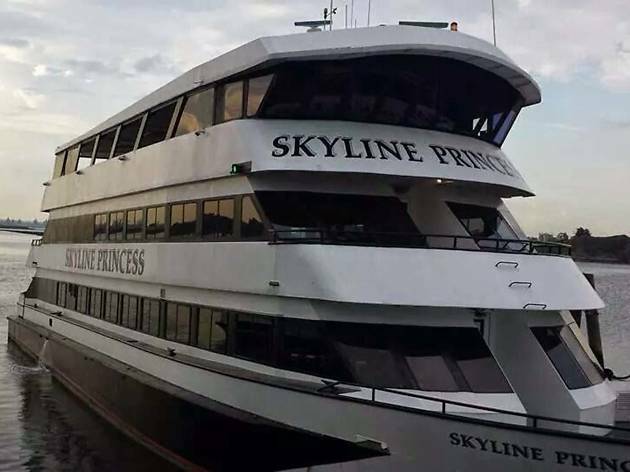 There's also a DJ onboard, a dancefloor and an American buffet offering three courses, from prime rib and chicken scallopini to crabmeat–stuffed lemon sole. It's worth knowing that Skyline caters for brunch and lunch too. Looking for more of a party atmosphere? 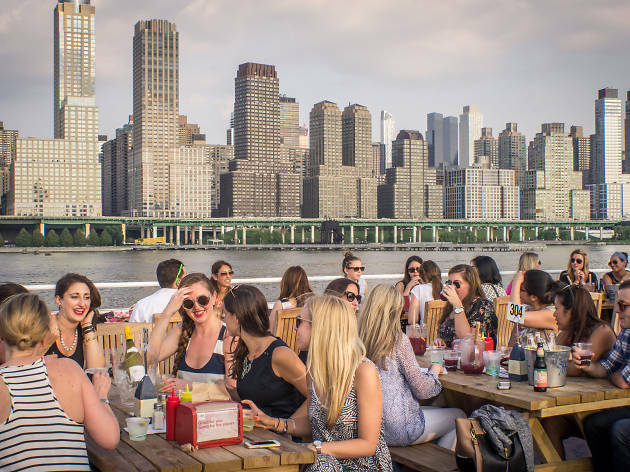 The best place to get trashed this summer in NYC is obvious: On a booze cruise!